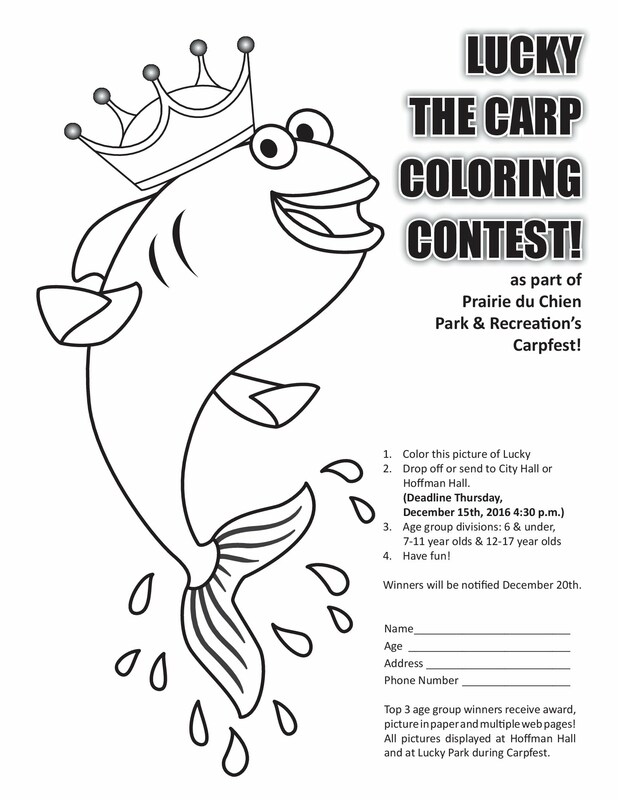 Carp Fest, Prairie du chien, Prairie du Chien Parks and Rec Dept. Carp Fest Events for 2016, will be updated with new events. All events are co-sponsored by the Prairie du Chien Parks and Recreation Department. Monday, December 26, 2016, 1 p.m. at the Community Room, Prairie du Chien City Hall. Cash pay back to top 5 place winners. Plus Door Prizes. Open to all! Bring your Dimes!!!! Tuesday, December 27 2016, 12 Noon - 3PM @ Leisure Time Sports Bar and Bowl. Labels: Carp Fest, Prairie du chien, Prairie du Chien Parks and Rec Dept.